JPY 1,320,000 PLus Worldwide Shipping! 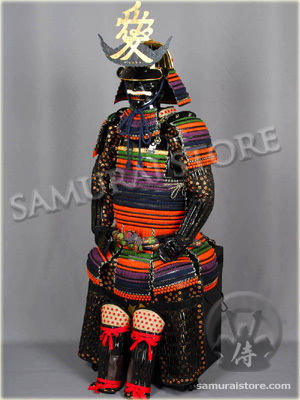 This reproduction of Naoe Kanetsugu's suit of armor featuring the remarkable headerboard designed with the Kanji for "AI" that represents LOVE. 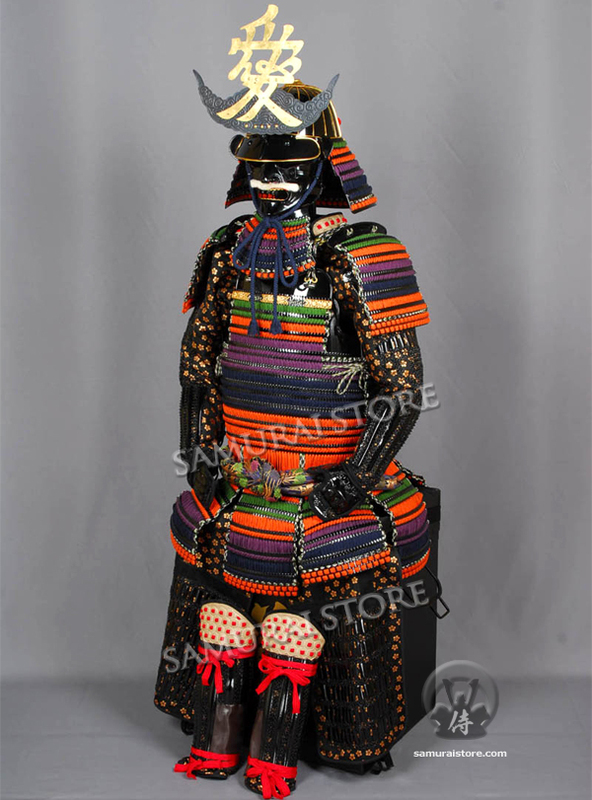 This suit of armor was originally produced for the NHK's TV history darama "Tenchijin", modeled after multiple sources including the heritage armor from the Uesugi shrine. This suit's body armor is constructed by hand, using multiple iron pieces, genuine leather, beautiful silk lacings and elaborately crafted chainmail. This Yoroi comes with all parts and accessories listed in the charts below, and can be worn, if desired.